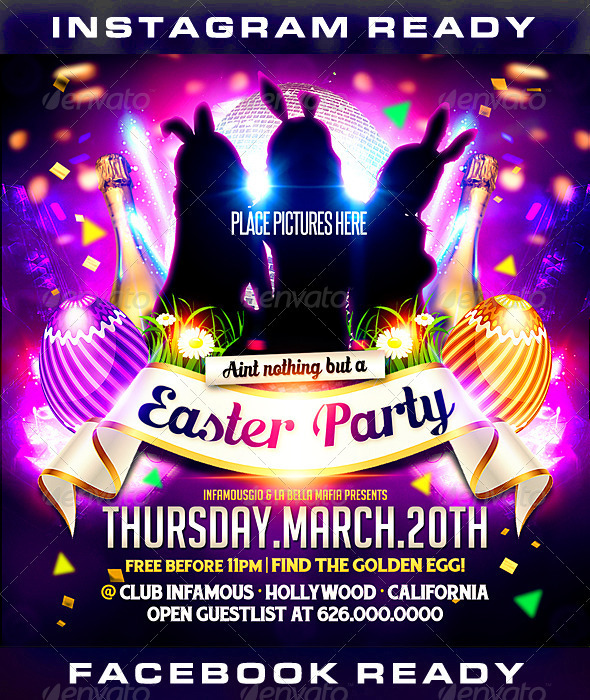 This flyer is great for a “Easter Sunday” Event, super easy to edit, you can easily change Texts, Colors, Add/Remove objects to this layered Photoshop PSD. Featuring: • 5×5 with .25 bleed • 300 dpi • CMYK & RGB mode • Credit List Included • Free Fonts (list included) • Layered PSD , Well organized in folders. • Web & Print ready! **Please Note: the model is not included & is for promotional use only. Have a question? Feel free to email me I will help you or tutor you.